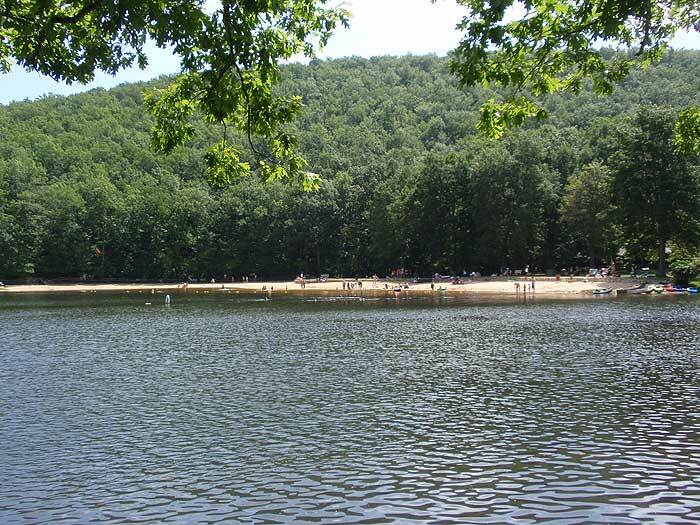 The Torry Ridge hike, just south of Waynesboro VA, passes through one of the premier campgrounds in the GWNF, Sherando Lake. 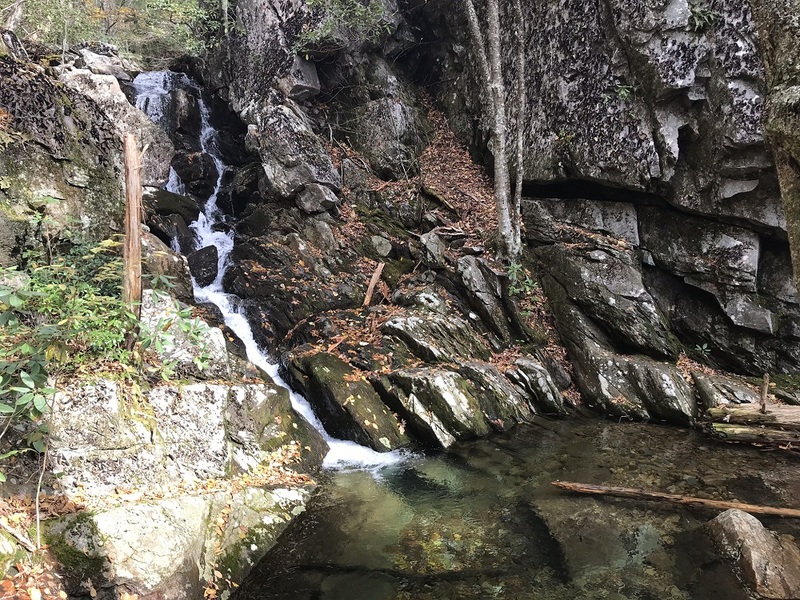 With both camper and tent camping as well as a fantastic lake with a man made beach, this hike plus other trails in the area such as St Mary's Wilderness, this makes for a great weekend getaway spot. This circuit has three possible start points. Sherando Lake, The Slacks Overlook, or how we have it mapped here, from White Rock Gap. 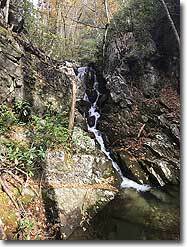 Cross the Blue Ridge Parkway (BRP) and start south down the yellow blazed White Rock Falls trail. 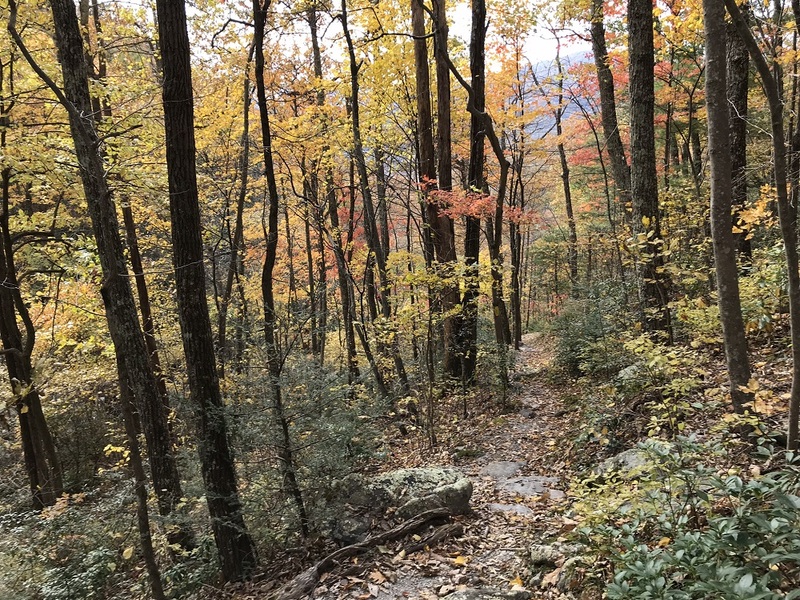 In 1.2 miles cross White Rock Creek then start the steepest section of the hike as the trail makes several switchbacks. 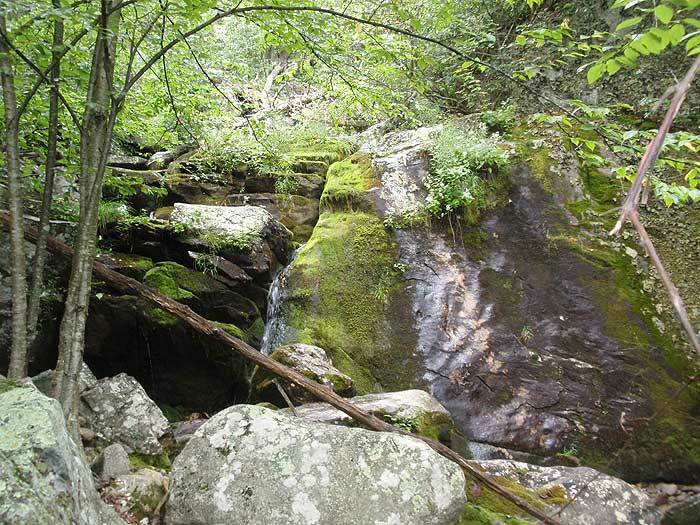 In 0.2 miles after crossing the creek, look for a faint unmarked trail that leads down to a 30ft waterfall. 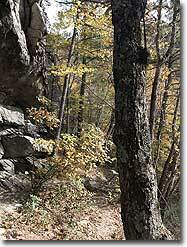 Continue up the yellow blazed trail and 0.3 miles from the waterfall are two vistas of the White Rock Creek gorge. 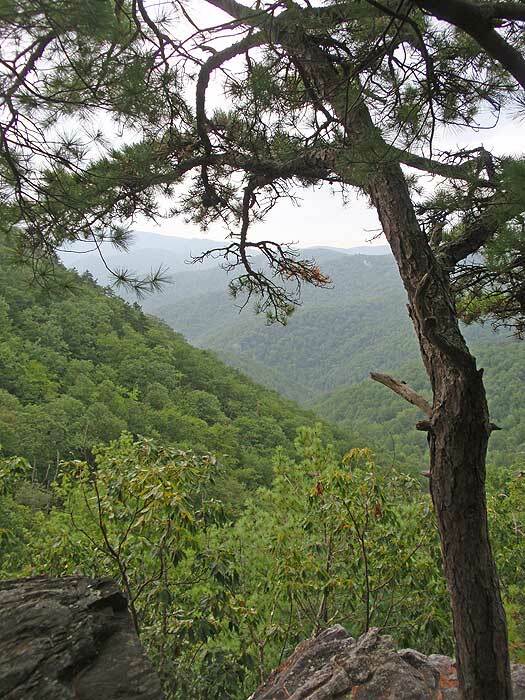 From this point the trail will become less steep and arrive at the BRP in another 0.4 miles. 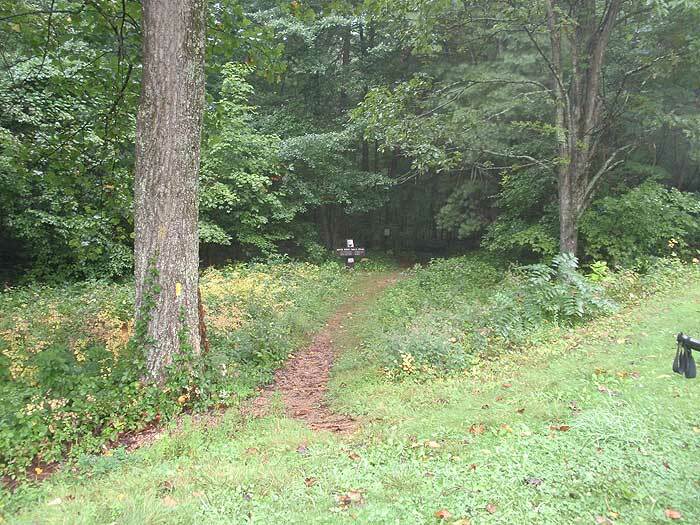 Cross the BRP and follow the unmarked connector trail behind the picnic table for 100 yards to the intersection of the Slacks trail. 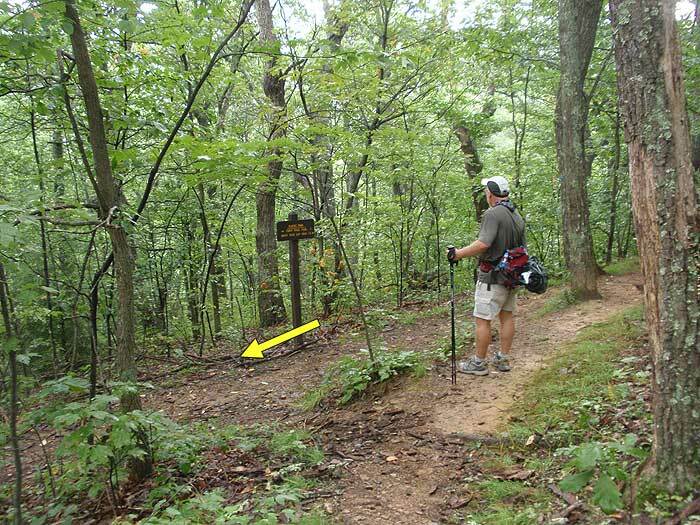 Turn left on the blue blazed Slacks trail and follow it 0.9 miles to the intersection of the Torry Ridge trail. 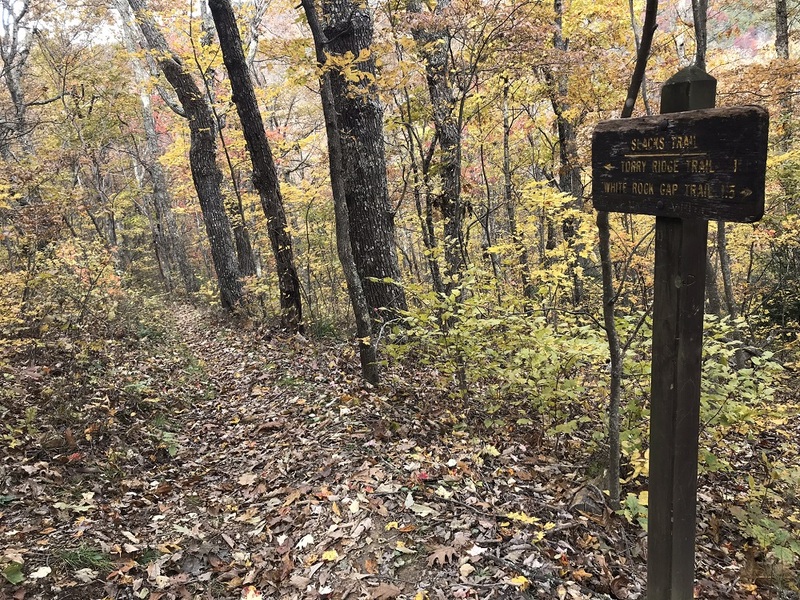 Turn right on the yellow blazed Torry Ridge trail and follow it 2.0 miles to the intersection off the blue blazed trail that leads down to Sherando lake. 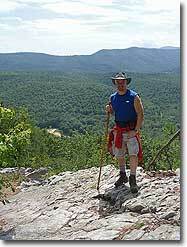 the Torry Ridge Trail has several nice views of Bald Mountain and Kelly Mountain. 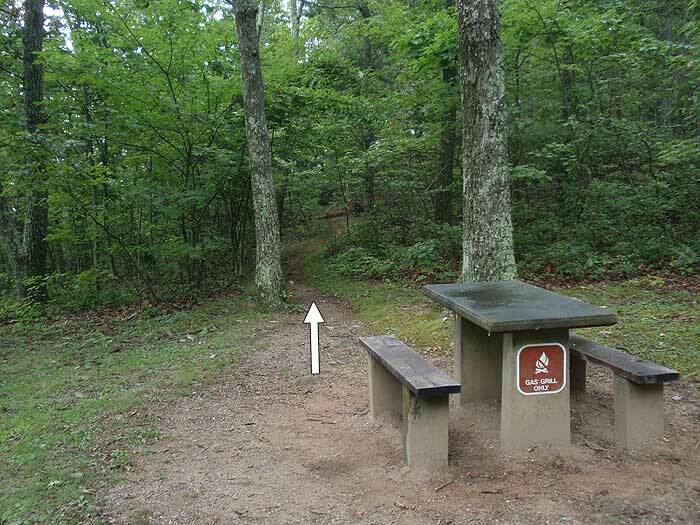 Turn right down the blue blazed trail and arrive at the Sherando Lake overlook in 0.2 miles. Continue down the trail for another 0.1 miles to the Dam trail intersection. 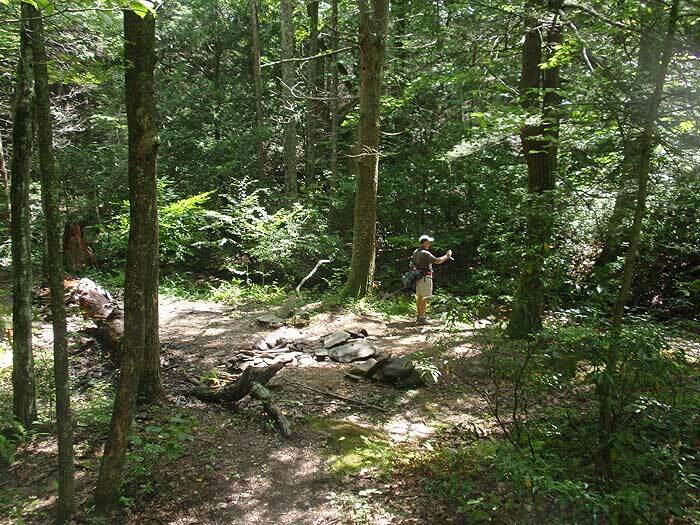 Stay left on the Dam trail for 0.3 miles where it ends at the orange blazed Lake trail and Sherando Lake. Turn right following the orange blazed trail around the lake to where the orange trail ends at the picnic area. 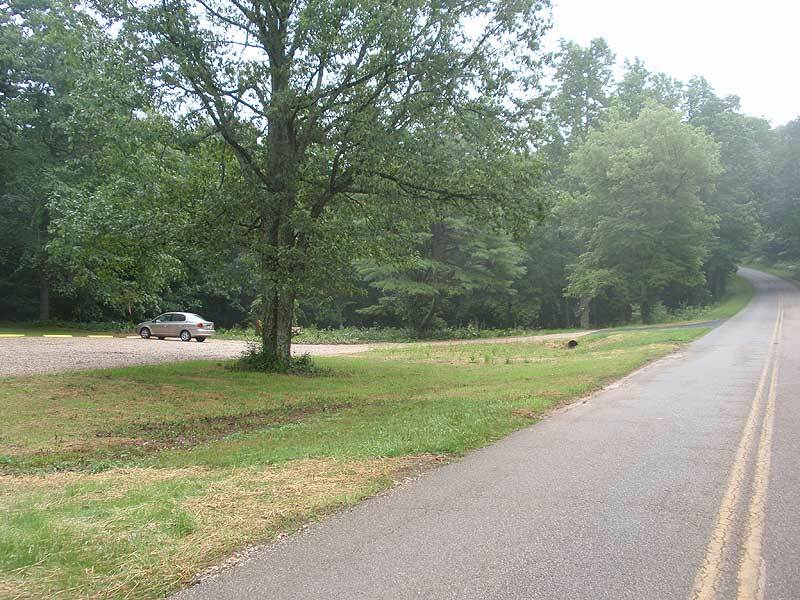 For the next 0.9 miles follow the campground roads to the south end of the recreation area and upper dam. 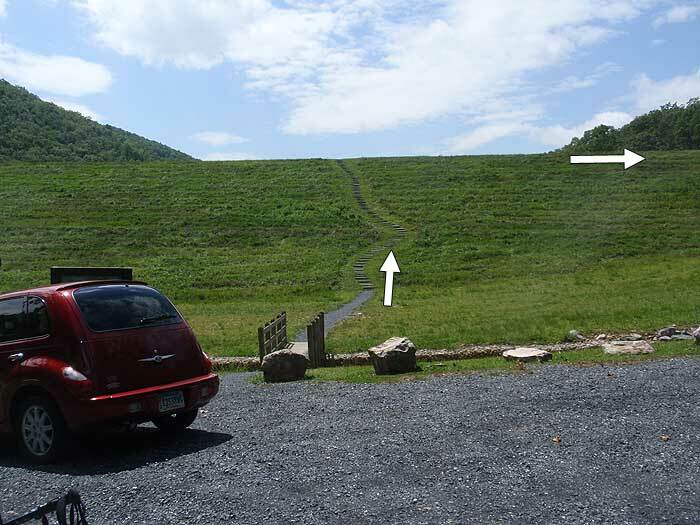 Climb to the crest of the dam, then turn right and follow it all the way to the right side. Do Not go down the steps on the water side of the dam. 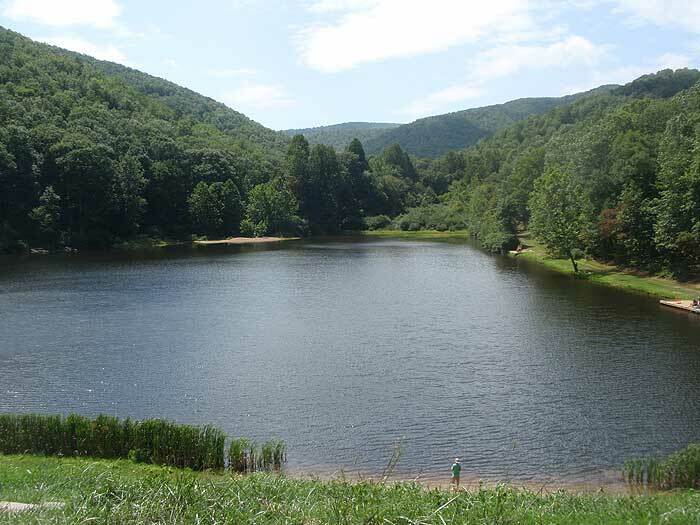 At the end of the dam turn left on the orange blazed White Rock Gap trail and in 1.8 miles pass the one good campsite on the circuit. From the campsite it is another 0.3 miles to the intersection of the blue blazed Slacks Trail. 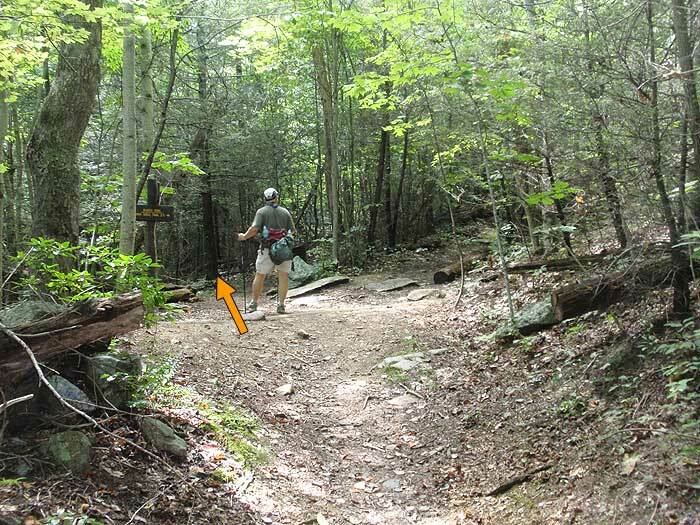 Stay straight on the orange blazed trail for the remaining 0.4 miles back to the BRP, and White Rock Gap parking area. Started from Sherando Lake Lower Lake, following signs for the lakeside trail and then to the overlook rock. After a short, steep ascent reached Torry Ridge (yellow signs). The ridge is the nicest part of the trail for me. At the intersection with the Slacks trail, I went right up to the Bald Mountain, which was still covered in snow. 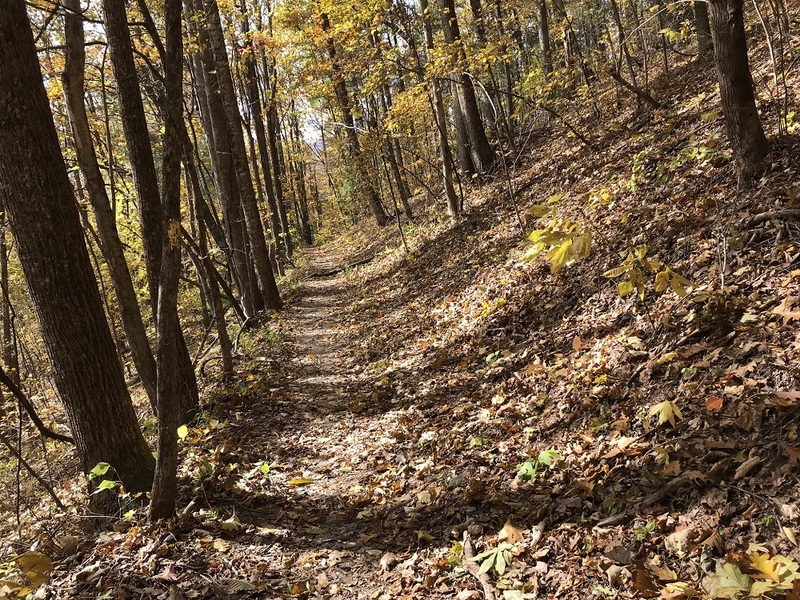 Returned back to the Slacks trail, and followed it to the White Rock Gap trail, back to Sherando. The last part was rather boring. Started this hike from the parking lot at the dam of lower sherando lake (37.925951, -79.003325) going counterclockwise.Took the orange trail on the west side of the lake up to the blue loop trail, which has all the elevation gain. Overlook Rock was nice but nothing special. 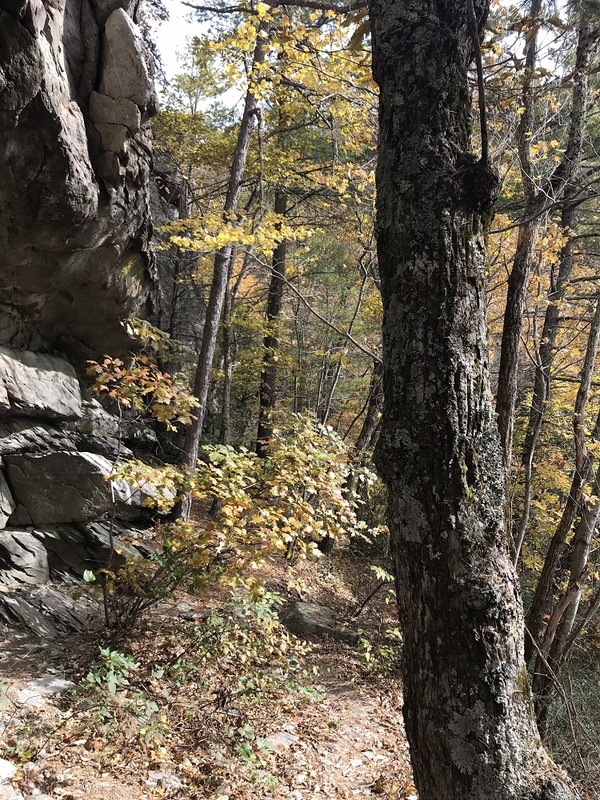 The yellow Torry Ridge Trail is relatively easy. It got a little confusing near the Slacks Overlook parking lot. 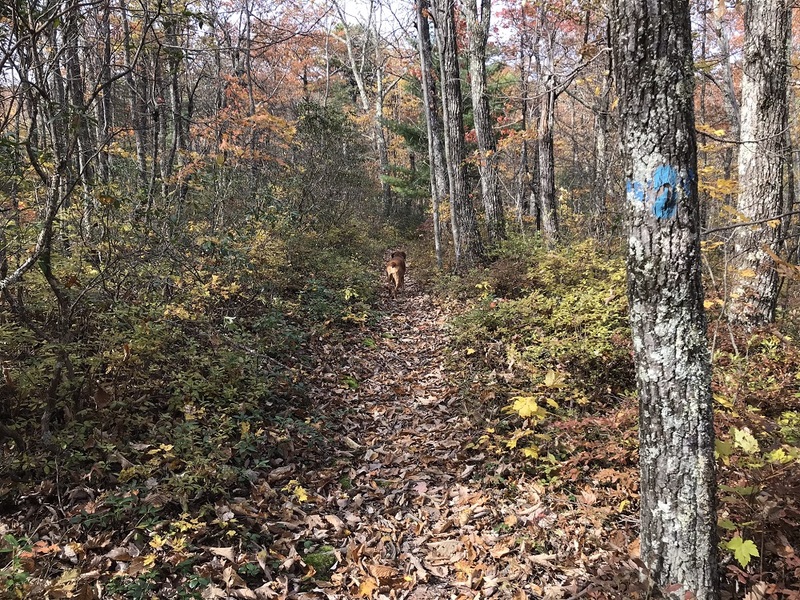 There are TWO spur trails from the parking lot that connect to the blue Slacks Trail - one from each corner of the lot. On the parkway, we looked for a few minutes for the yellow White Rocks Trail, but couldn't find it. I was pretty disappointed we didn't get to see the waterfall on that trail. We continued back on the Slacks Trail. 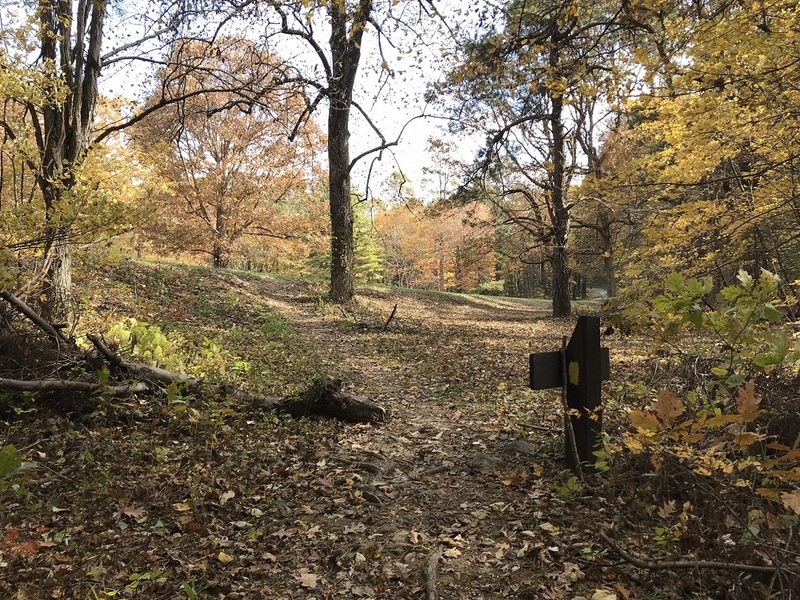 On the trail map, the portion of the Slacks Trail from the Slacks Overlook to its connection to the orange trail is ENTIRELY inaccurate. 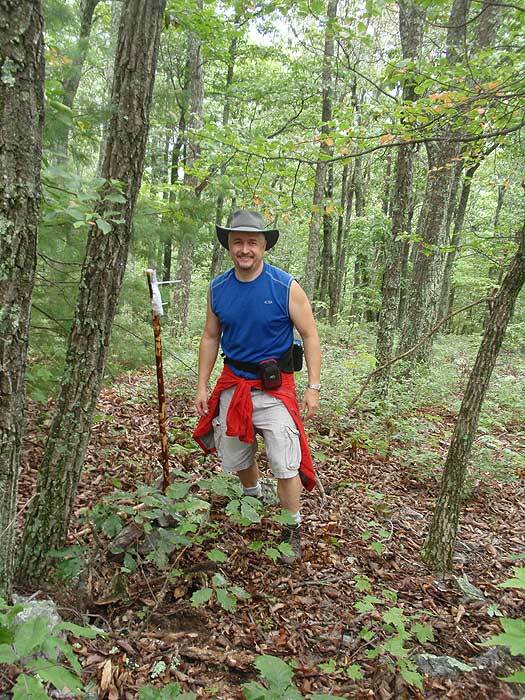 It is a much longer and meandering, but still not difficult hiking. 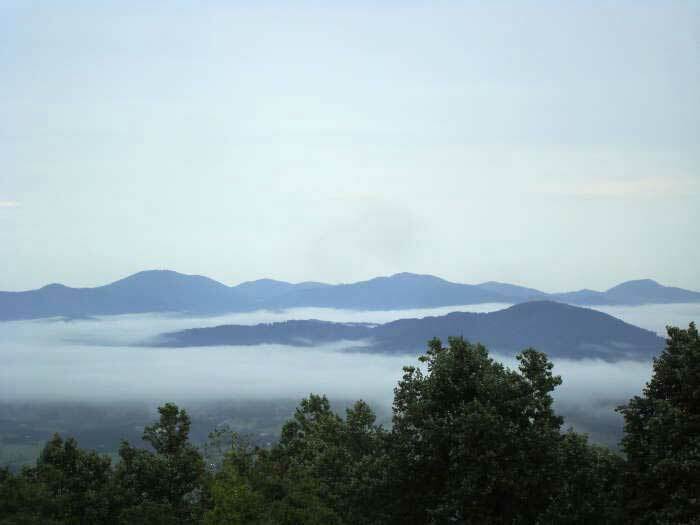 Additionally, its connection with the orange trail is at least a half mile closer to the Blue Ridge Parkway. 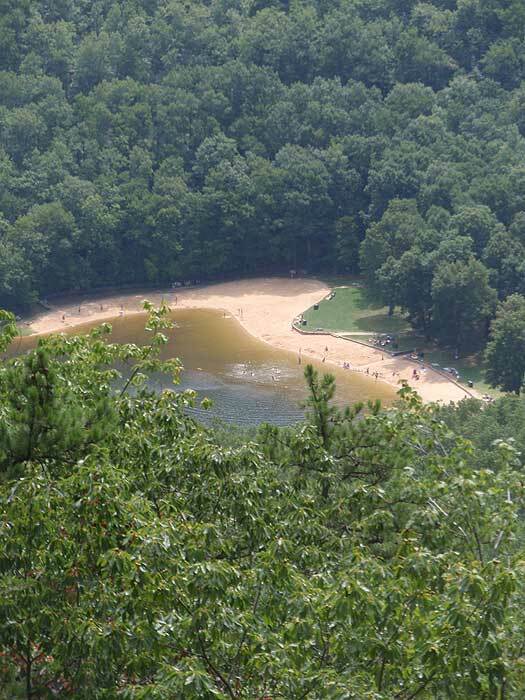 At the connection, you can see the White Rock Gap parking area. 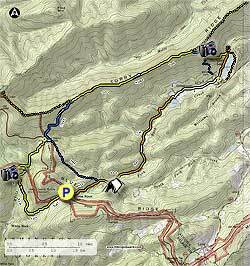 The maps posted in the area show the trails accurately and list the Slacks Trail at 2.6 miles in length. The one camping area on the map is accurate and very nice, right next to the stream. I thought I saw another campsite as you got closer to upper sherando lake, but not sure. This gets three stars because we couldn't find the yellow trail and thus missed the waterfall and vista, and the slacks trail on the map was inaccurate. 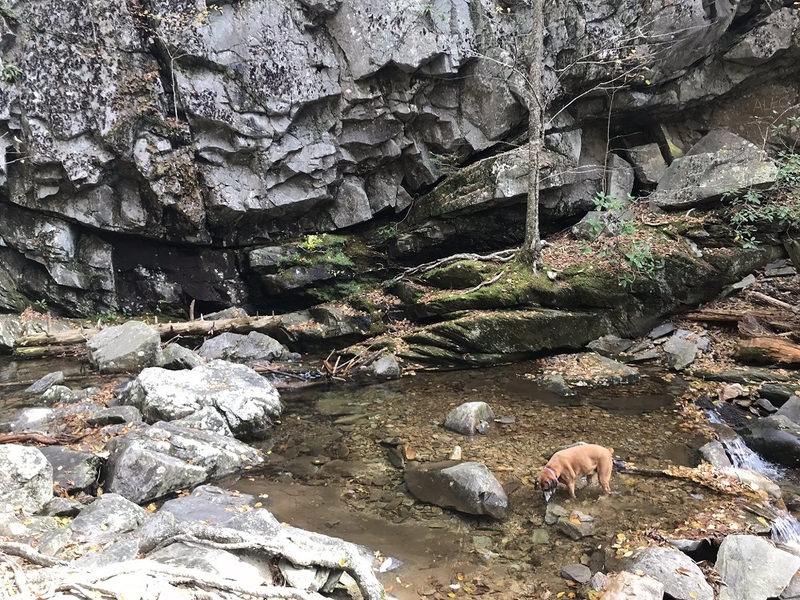 Our total hike was 10.25 miles, and the only real highlights were Overlook Rock, the Torry Ridge walk, and the campsite. Had I been able to do the whole loop it might have gotten a 4 star review. We did the 7.5 mi counterclockwise loop. Started from parking lot at north end of the lake. 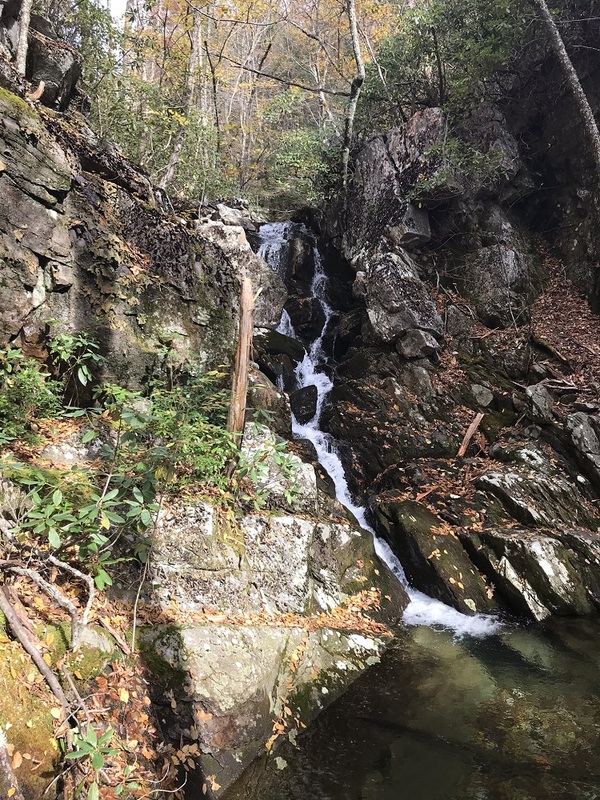 We crossed the spillway immediately and began the steep ascent on the Blue-dotted trail (sign to Bald Mtn) to link up with Torry Ridge (Yellow Blaze trail). This blue section was VERY steep and you gain ALOT of elevation in 4/10 of a mile. 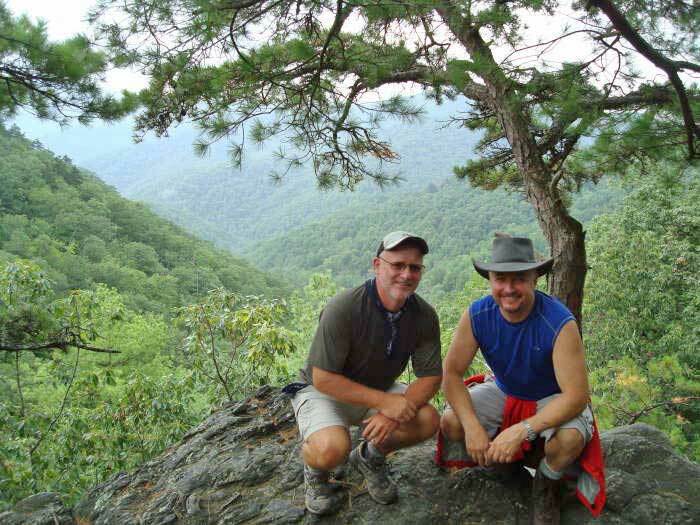 Once on Torry Ridge its an easy, level hike. This was Feb so views were gorgeous but even in summer, I suspect there will be some nice vistas. 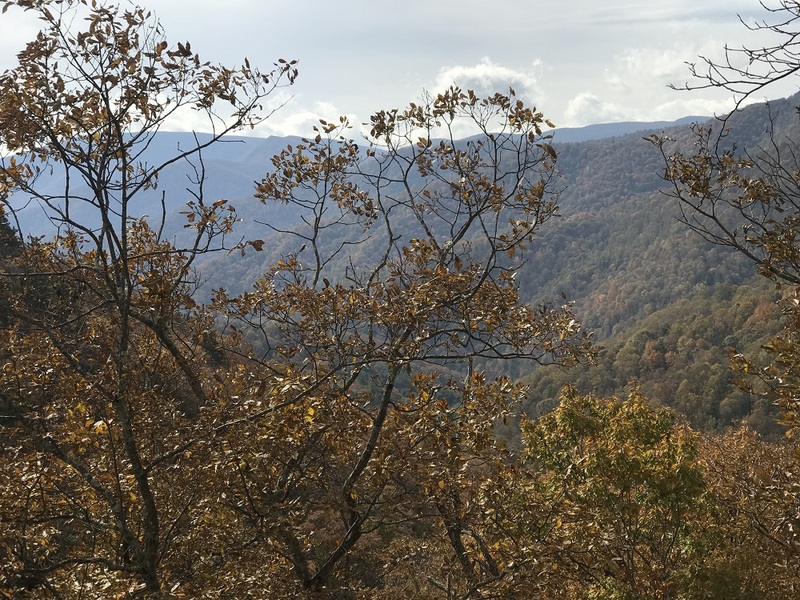 From Torry Ridge we took a gradually descending Slacks Trail (Blue Blaze) down to White Rock Gap Trail (orange blaze). 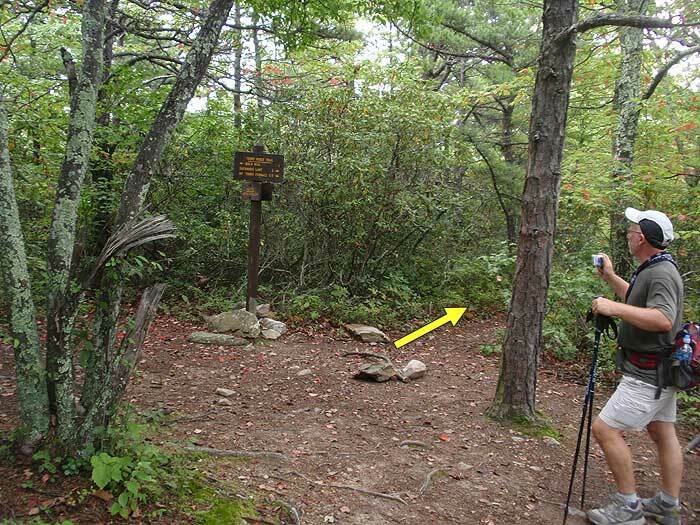 We diverted at the sign were these trails meet to the packing lot (200 yds) at Slacks Overlook. Nice picnic table there for lunch and a trash bin. Lower end of this descending trail was alongside a very nice stream with rushing water--not sure how it will be in Jul or Aug but very picturesque this date. Finished walking past camp grounds and then hiked alongside the lake back to where car was parked. Bottom line: glad we got the steep section done to begin with. No sign of other hikers (didn't expect any) but mountain bike tracks in evidence. I really enjoyed this hike. Cold day, on a weekday, so for me, so it was empty of any other hikers. 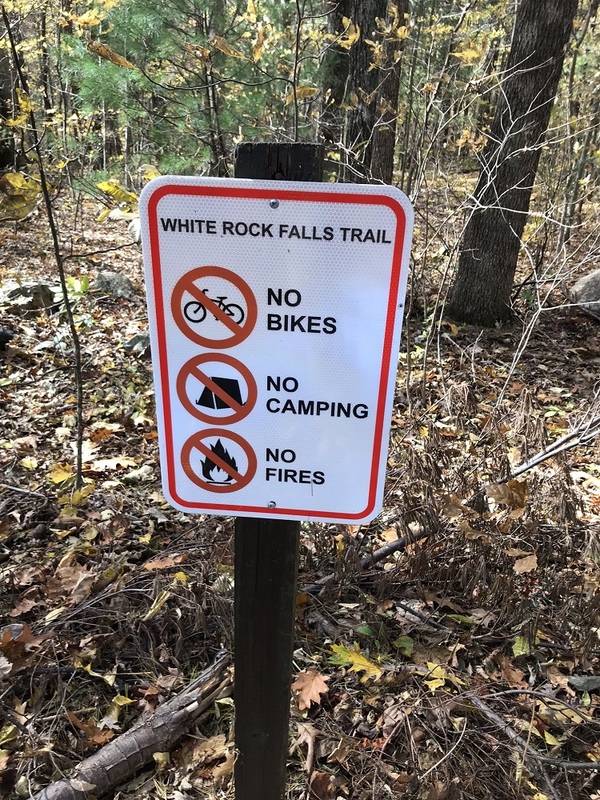 I started from White Rock Parking BRP MM 18.5) and crossed the street to the south to trailhead for White Rock FALLS trail. Well marked with yellow blaze. Trail nicely maintained and although this was my first hike there, judging by the crushed leaves on the trail, this must be well used even in winter/fall. The waterfalls are nice but not magnificent--more like pleasant. 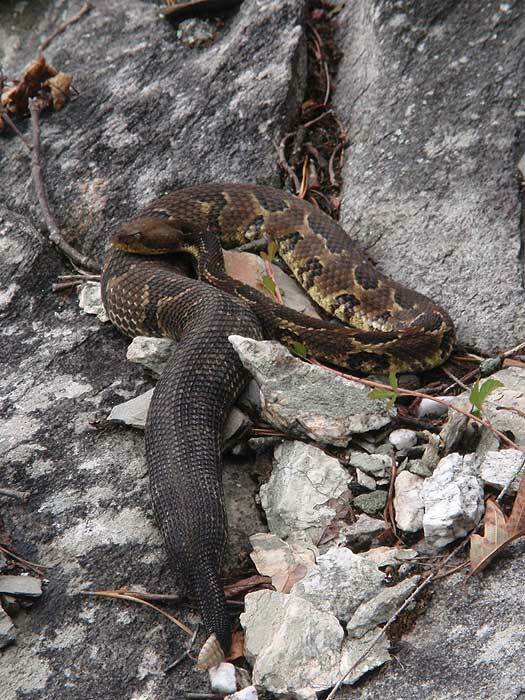 Still, seeing/hearing them added to the hike. The bulge shown on the map is definitely the way you have to go--I thought the base of the bulge might be a shortcut and strangely, it had double yellow markings (??) --not sure why. It an interesting diversion but not a shortcut--it ends at cliffs. 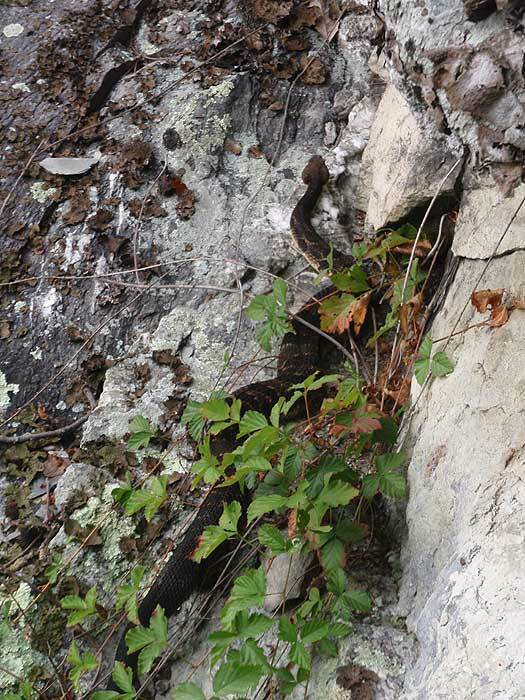 Not sure why the markings but there is a crevice in the cliff you can climb up to get to the bulge. 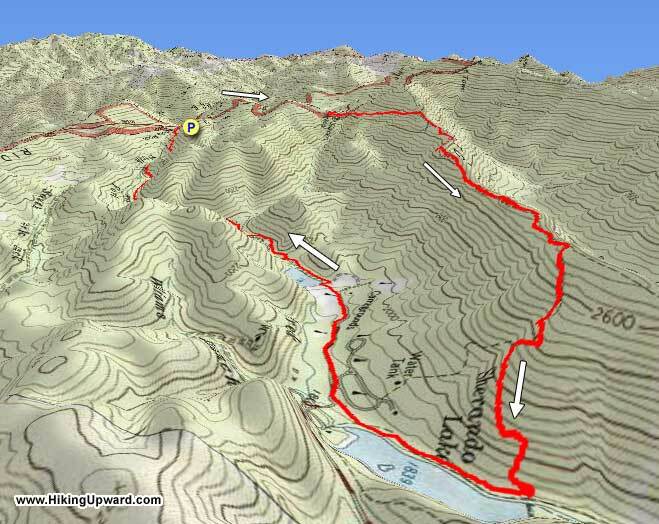 (not recommended).Easy to moderate hike that loops around to bring you back to BRP at Slacks Overlook (BRP MM 20). 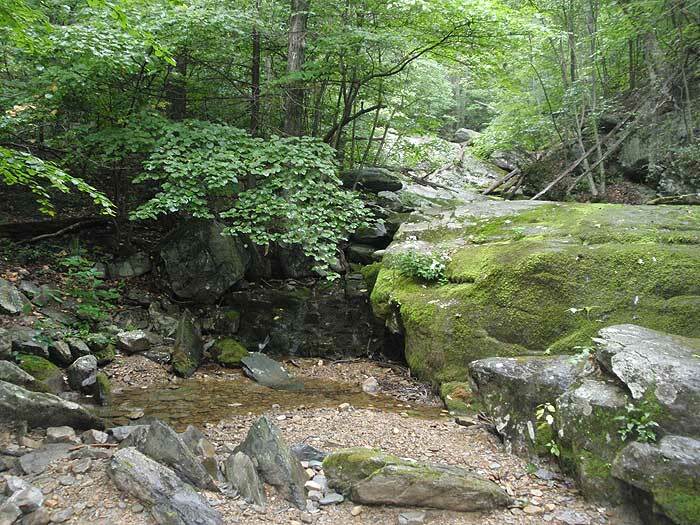 The trail paralells the rushing stream and there are three crossings of the stream--two have bridges. The waterfalls are nice the stream was fast running and the sound as you hiked was marvelous. Lunched at Slacks overlook, which is a BRP overlook so there was a litter bin and picnic table there, which was convenient. 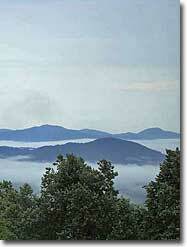 From the overlook went to Slacks trail, a short distance. Left was to Torrey Ridge Trail right was Slacks Trail t(Blue Blaze) that hooks up with White Rock Trail. Easy hike, not much elevation change. 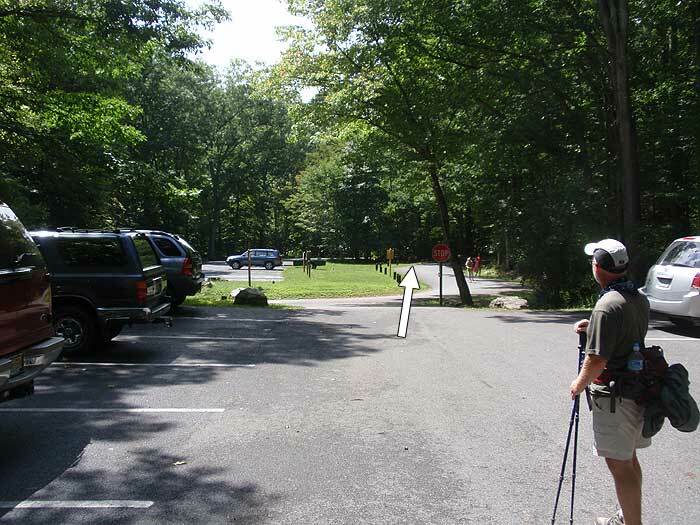 Runs into White Rocks trail--left to the Lake right to the parking lot. I went right--the day was cold (23F). All told maybe 5 miles, maybe slightly less. 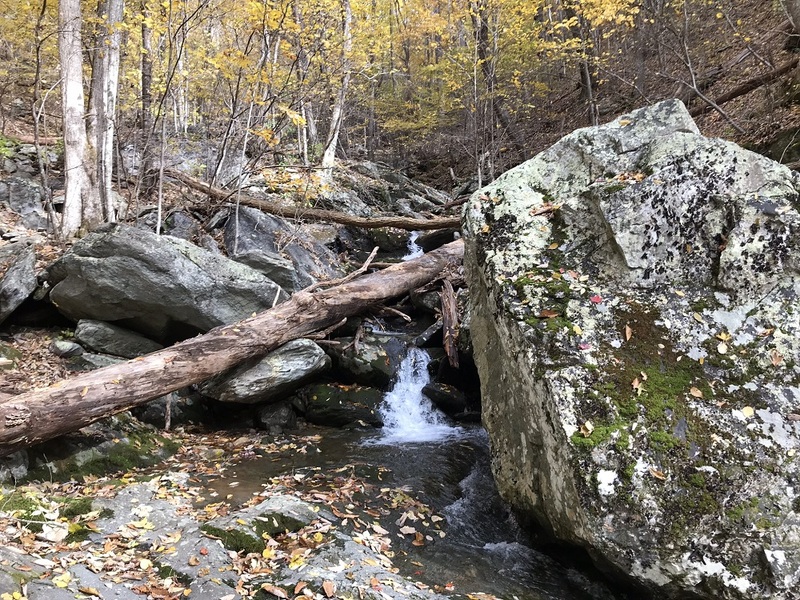 A GREAT hike for exposing kids to multi-facets of hiking (views, waterfalls, some climbs and enough distance to make it a challenge for them, while not being so tame it's boring. Plan to do the Torry Ridge loop (7 miles) next week.